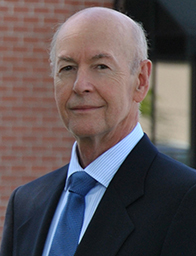 John Braun - Oram Spelliscy Family Wealth Management - Kelowna, British Columbia | Raymond James Ltd. Bolstered by his experience as a professional accountant and mining company executive, John Braun uses seasoned insight and perspective to help clients navigate a broad range of financial matters. Clients enjoy a close relationship with John; some even describe it as being “business friends”. Many clients rely on John’s versatile advice throughout their many life stages. John’s success in building such relationships has regularly distinguished him among Raymond James’ advisors. In welcoming any new clients, John’s greatest priority is compatibility. He dedicates all “discovery” conversations to a prospective new client’s expectations and awareness of the portfolio management and financial planning processes. After this discussion, both the client and John are best able to discern whether there is a “good fit” upon which to build. To maintain his ability to provide best-in-class advice, John regularly completes courses in current finance, law, and taxation matters. John and his wife have raised two children in Kelowna, and they enjoy maintaining health in mind and body through avid traveling and various sporting activities.